At Boston Custom Remodeling our mission is to handle our customers’ design and remodeling with unmatched attention to detail. Our team of experienced tradesmen take great pride in providing knowledge, quality, and commitment on our projects. It’s essential to us that our project managers keep a great level of communication with the client to ensure all projects move efficiently and smoothly. We will make sure your project has the highest quality of craftsmanship from start to finish. 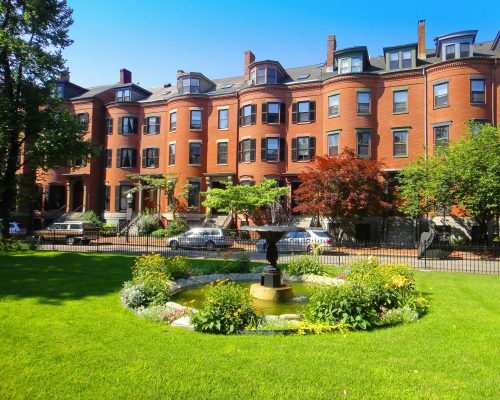 Working in the smaller Boston neighborhoods such as the South End, Back Bay, and other historical districts, we have built a great network of clients and friends. We not only want to complete your project with great quality, but also develop a long-term relationship. Boston Custom Remodeling is fully licensed and insured throughout Massachusetts. As a full service builder, we are able to handle all phases of your project. There is no project too small for us and we are happy to help with anything that may come up in an emergency situation. In order to deliver superior quality, we feel that the most important aspect is employing exceptional people. We only employ highly trained carpenters, electricians, plumbers, masons and other tradesmen. Our employees love what they do, and they strive for ever-increasing customer satisfaction. With any project, the success starts with creating a schedule and planning prior to starting construction. This saves you money, produces a better end product and makes for a smooth running job site. We work directly with you to plan the job from our initial meeting. All of our work is warrantied and we take great pride in completing our projects on-time with uncompromising quality. We look forward to hearing from you!